Our Best of Nashville 2017 poll began last week with the Roots category and, after you-the-people cast your vote, we have the results to share with you! 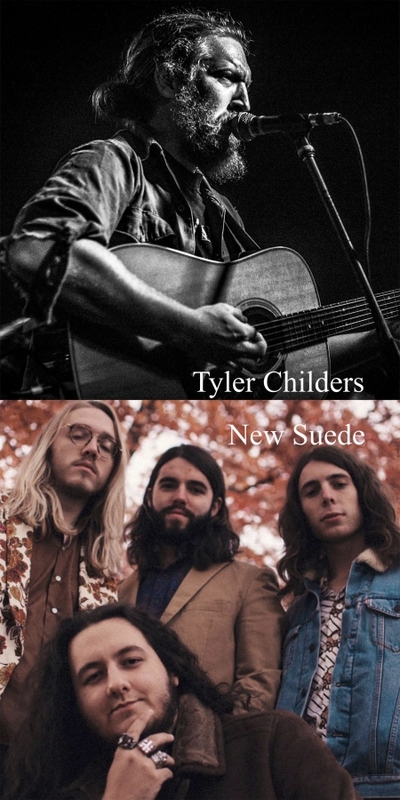 Tyler Childers offers classic country folk songs that fit the modern context. His lyrics are imaginative and descriptive of elements of life in the country. With blue-grass oriented instrumentation including fiddle, banjo, mandolin, his style brings early Avett Brothers to mind. His songs blend the modern indie-folk impulse with the root elements of the bluegrass and country. Where his vocal tendencies and lyrics use the popular style of the alternative country/folk genre in its current form, the instrumentation and song structures harken back to truly rural country roots of his origins in a rural Kentucky coal mining town. New Suede is an act that's mastered the art of origin digging. "Taxi," the single they've released ahead of their new album, is a number heavily influenced by classic R&B and Jazz elements but molded into the form of an indie rock experiment with similarities to psychedelic/jazz/indie outfits like Homeshake or Mild High Club. The makeup of their work so far consists of groovy, easy rocking that dabbles in enough dissonance to keep us on our toes. Be on the lookout for their album, Ocean Drops, coming out on March 11th. The full list of nominees can be found under the streaming tracks.